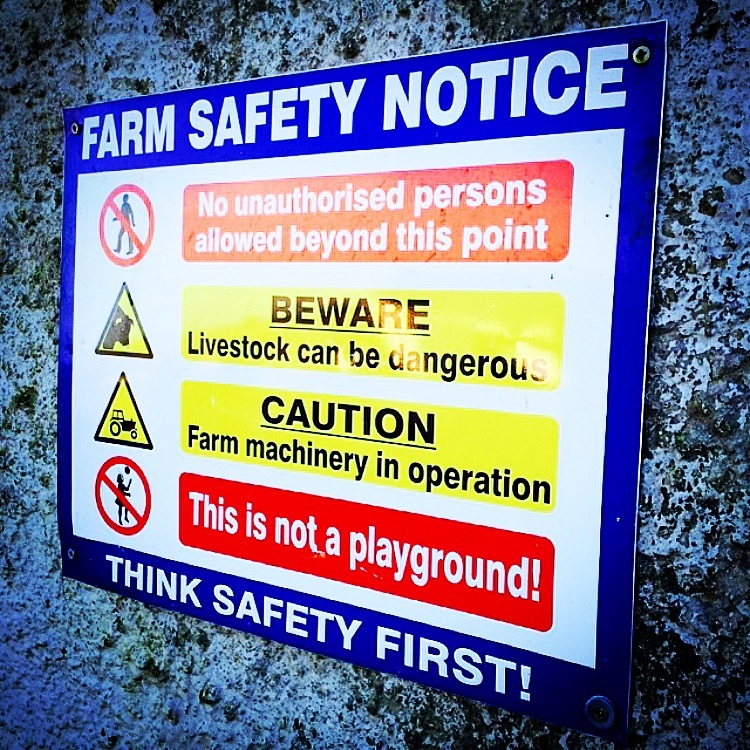 Agriculture accounts for the highest number of work-related deaths in comparison to other work sectors, according to the latest figures from the Health and Safety Authority (HSA). The figures show that farming-related deaths in Ireland increased by 53% (from 16 deaths in 2013 to 30 last year). Work-related fatalities across all sectors rose from 47 deaths in 2013 to 56 in 2014, the HSA found. Minister for Business and Employment, Ged Nash, says that the increase in accident rates in 2014 is a cause for concern. “The increased fatality rate last year is largely due to the unfortunate rise in the number of people killed on farms which stood at 30. “Huge effort has been made to try to reverse the situation in relation to farming and awareness of the risks has never been higher. It is time now to convert that awareness into action, the carnage and tragedy that we see on our farms every year must stop,” he says. 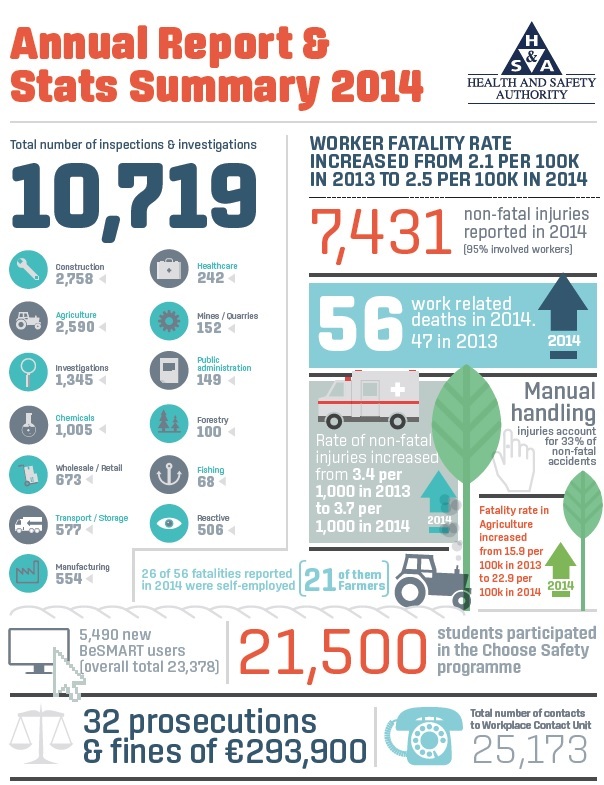 Some 26 of 56 fatalities reported in 2014 were self-employed and 21 of these were in farming, according to the HSA. There was a total of 7,431 non-fatal injuries reported in the work environment last year and of this number 114 (1.5%) were in the farming, forestry and fishing sector, it says. Of 10,719 inspections by the HSA last year some 2,590 inspections took place in the agricultural sector, it says. Up to 87% of the annual farm inspection target was achieved with 2,590 farm inspections and 87 investigations, the HSA says. 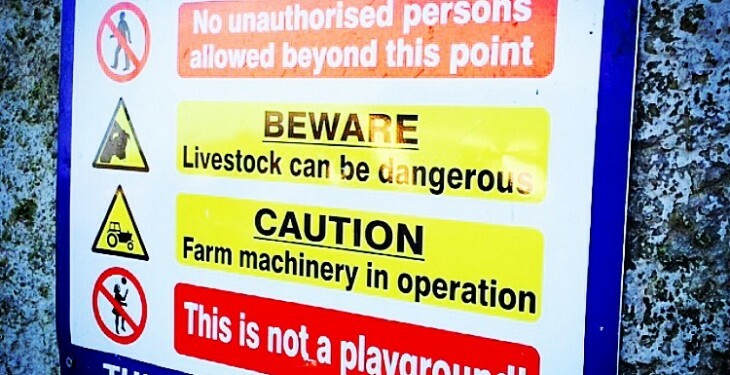 80% of farms had adequate separate play areas for children. 69% had adequate health and safety provision for elderly people. 55% had adequate slurry handling arrangements. 72% had a safety statement or code of practice available at the workplace. 59% of those with a safety statement or code of practice had complied with the action list of hazards. 23% of inspections resulted in enforcement in relation to unguarded PTO shafts. 37% resulted in written advice on maintaining handbrakes on tractors. In tandem with a farm safety inspection campaign, the last year the HSA worked closely with state agencies and farming representative bodies to increase awareness and promote knowledge transfer through discussion groups. Minister Nash said that it concerns him that as the number of people at work increases the rate of non-fatal accidents has risen.